I think that if devolution is made to work then the demand for secession will decline as has happened in Scotland. The present government although a law exists for devolution of power is not allowing the NPC to exercise its powers under the law. 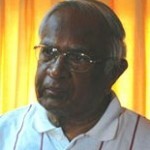 Politically the demand for devolution of power by the Tamil community has been strong for the last fifty years. Such demand will not just go away. The President says he allowed elections to the Northern Provincial Council. But what he has given with the right hand he has withdrawn with the left hand. The NPC is hamstrung because the power is exercised by the Governor. Provision was made legally for it by the Provincial Councils Act of 1987 which undid the devolution to the PC under the 13th Amendment. We have had a highly centralized state during the colonial period as well as after Independence. But after 1956 we adopted something peculiar to Sri Lanka. Our Members of Parliament who were elected to the legislative body began intervening in the Executive branch of the State at the level of the district to further their electoral power. They unofficially intervened in the functioning of the District Administration which really should be controlled by the Head Offices of the central departments and the Home Ministry in charge of the Kachcheris. This intervention created a politicized administration in the districts where the Opposition electorates were ignored for the disbursement of central government funds. It also undermined all the principles of good public administration like unity of command- the hierarchical levels, distorted the flow of information. If we wanted the district administration to be under the control of a political head then we should appoint a provincial governor under whom the district offices would work. Various mechanisms such as a District Political Authority were tried but they came up with the problem of which Member of Parliament should be the Political ‘Authority. Whichever MP was appointed he would pay more attention to his electoral needs than that of the other ruling party MPs in the District. Of course the Opposition MPs had no influence or say whatsoever. The problem became serious for the Tamil and Muslim MPs who were not part of the ruling party. So many Muslims and Indian Tamil MPs supported the ruling party and even joined it. But the Tamil parties of the North and East refused to do so. The result was that their electorates were ignored in the development exercise of the government. After all, funds are scarce and if you are not in the bargaining process you will be ignored. Public service improvement and efficiency is a longstanding goal of any government, but is especially pertinent in a nation looking to reduce its fiscal deficit. Nevertheless, the present system of public administration with its highly politicized character means that parties not sharing power in the government have little or no say in the governance of their province. This also means that the people in such province have no say in managing their affairs. The tendency in the provincial administration controlled by the central government head offices is to stifle innovation and local flexibility and to generate service fragmentation, perverse incentives and poor outcomes. And politically the demand for devolution of power by the Tamil community has been strong for the last fifty years. Such demand will not just go away. A political system that has been captured by a small group of highly ‘professionalized’ politicians has led increasingly to deep political inequality in society between the various ethnic communities. Centralized governance has also led increasingly to deep political inequality in society. Our post Independence experiment with centralization has failed, and it is time to embark on a new journey: a programme of decentralization that will liberate the nation, drive prosperity and growth, and provide a new platform for more innovative and effective public service reform and a society which is politically more equal. We should take a lesson from the referendum in Scotland where the people voted to continue as part of the United Kingdom. The world does not oppose an ethnic minority seeking to set up its own state. So we may not be able to treat such demands as treason or outlaw those who make such a demand as we did in the past. The Referendum in Scotland was to decide whether the demand of the Scottish National Party reflected the views of the people or only of the politicians and their political party. The UK government accepted the democratic right of the Scottish people to decide on the issue, living up to its traditional democratic values. The present government although a law exists for devolution of power is not allowing the NPC to exercise its powers under the law. This is not only anti-democratic but also a violation of the spirit of the law- the 13th Amendment. The present regime is apparently not accepting the right of the Tamil people to govern themselves to the extent agreed upon. The present situation and the actions of the regime will only lead to agitation for a Federal State where the devolution of power cannot be unilaterally undermined by the Central Government. The United Kingdom is an example of a unitary state. Scotland, Wales, and Northern Ireland, which along with England are the constituent countries of the United Kingdom, have a degree of autonomous devolved power – the Scottish Government and Scottish Parliament in Scotland, the Welsh Assembly Government and National Assembly for Wales in Wales, and the Northern Ireland Executive and Northern Ireland Assembly in Northern Ireland. But such devolved power is only delegated by Britain’s central government, more specifically by the Parliament of the United Kingdom, which is supreme under the doctrine of parliamentary supremacy. But the UK Parliament has not curbed or interfered with the working of the Scottish, Welsh or Northern Ireland work. In fact the ruling Conservative Party Government promised a greater devolution of power to Scotland which seems to have swung the vote in favor of the Scots continuing their membership of the United Kingdom. The fears expressed by our ruling politicians of the SLFP are different. They think more devolution will lead to secession. But their views really reflect their reluctance to hand over power to any others whom they cannot control. All the Provincial Councils in the South are governed by the ruling party and so they can control them. But where the PC is under the control of an Opposition party the rulers cannot have their way. Their fear I suspect is that if there is effective devolution working in the NPC then there may be a similar demand from the PC members of the South as well and then the rulers will be unable to have their way with them. So they do not want to make the NPC succeed. If it did and the NPC governed the Province well there would be similar demand from the people in the South as well and the power of the ruling party at the Center would be curtailed. 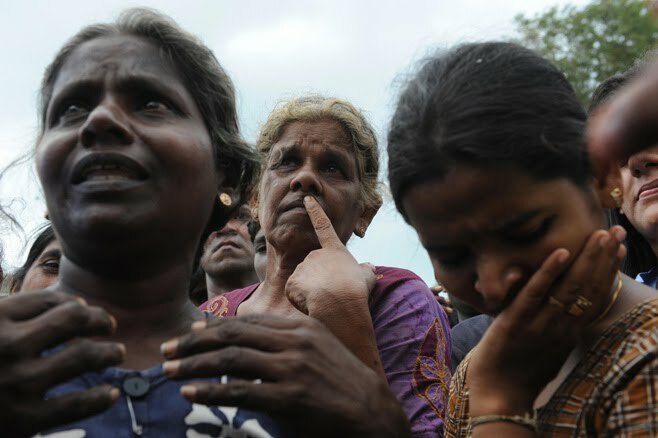 It is this fear rather than any fear of effective devolution leading to secession that motivates the Rajapaksa regime. One solution is to have asymmetric devolution which was once suggested by Ranil. Devolution (like federation) may be symmetrical, with all sub national units having the same powers and status, or asymmetric, with regions varying in their powers and status. Perhaps the way forward is to leave the 13th Amendment as it is and bring in a new law for the PCs in the South. The argument that the PCs are white elephants and an unnecessary burden on the people applies to the PCs in the South than to the North. They may be abolished if the ruling party does not want provincial politicians to exercise power which will ultimately be at their expense. The new President of Indonesia- Jokowich rose to power because he ran a regional political unit efficiently and honestly. So if the PCs in the South exercise power they may emerge even as national leaders. But this will cut across the power of the political party which is more a closed club. If the Southern PCs are to continue the National Government should shrink to about 75 elected MPs with an Upper House composed of only Provincial Members. The division of powers between the PCs of the South and the National Government should also be revised and the Concurrent List done away with for the Southern PCs. In short the 13th Amendment should be confined to the North and East only. An effective Northern Provincial Council can remove many of the institutional sticking points which the TNA keeps harping on and which the central government ignores. Some of these are no more than irritants, but they have an outsized political potency, as they remind voters of the shortcomings of the present arrangements. They also provide plenty of opportunities that could be exploited by a devolved government determined to make trouble. I think that if devolution is made to work then the demand for secession will decline as has happened in Scotland. It is by promising greater devolution that the Conservative Government was able to defeat theScottish Referendum. An effective devolution will make it more difficult for any secessionist political party to win the support of the Tamil people. If nationalist parties cannot get support for independence, they will either have to embrace forms of self-government within the Sri Lankan state or limit their electoral appeal to the modest numbers of die-hard supporters of out-and-out independence.